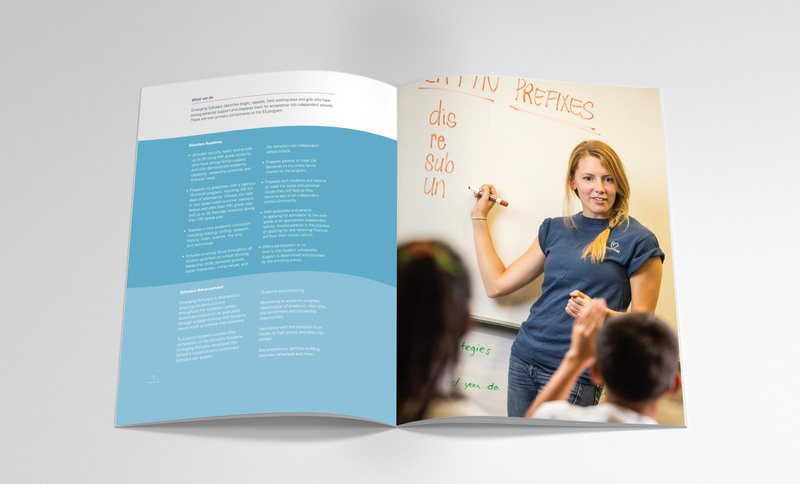 For families with bright children facing economic challenges, ES provides an intensive program of academic, social and cultural enrichment; leadership and life-skill development; as well as sustained support for the entire family. 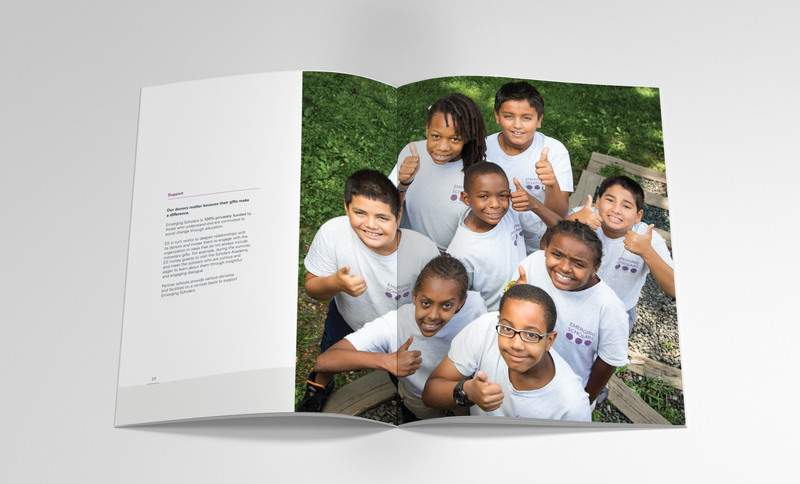 Emerging Scholars is the only organization in the Washington Metro Area that offers a wrap-around academic and leadership program coupled with long-term commitment to scholars and families. 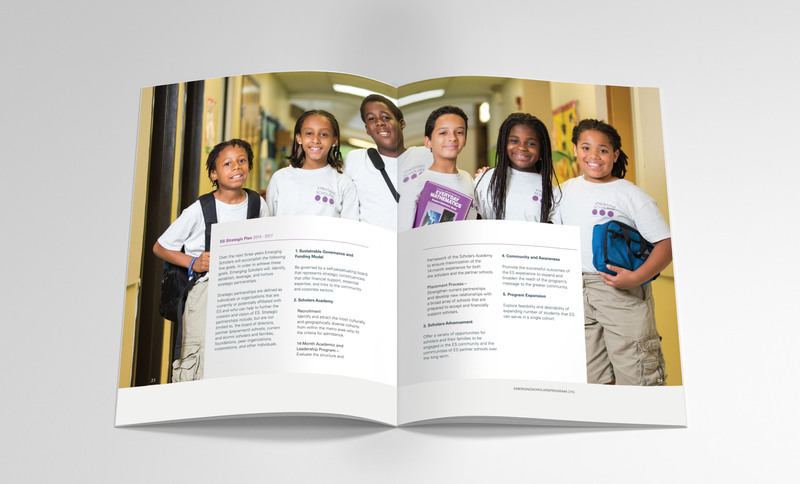 Seaberry designed the Emerging Scholars View Book to highlight the organization's mission and accomplishments and to serve as a reference for the public, potential donors and partner schools, within the Metropolitan Washington Region. 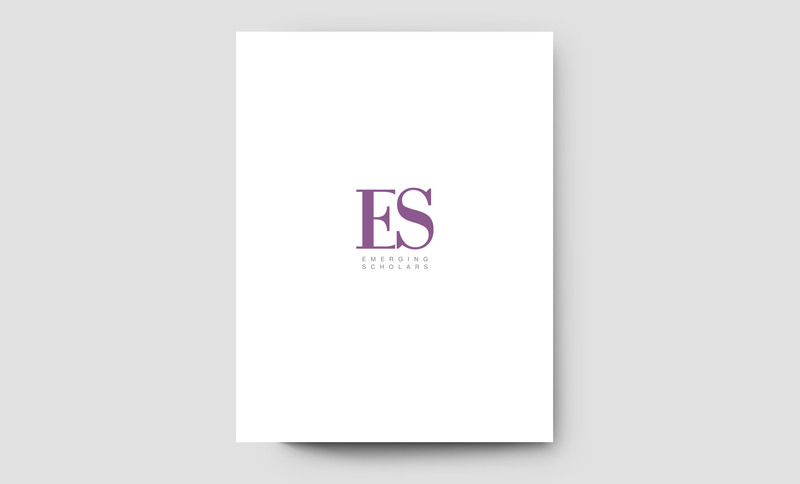 Seaberry re-designed Emerging Scholar's logo to give the program and the book cover a simple yet sophisticated scholarly feel. 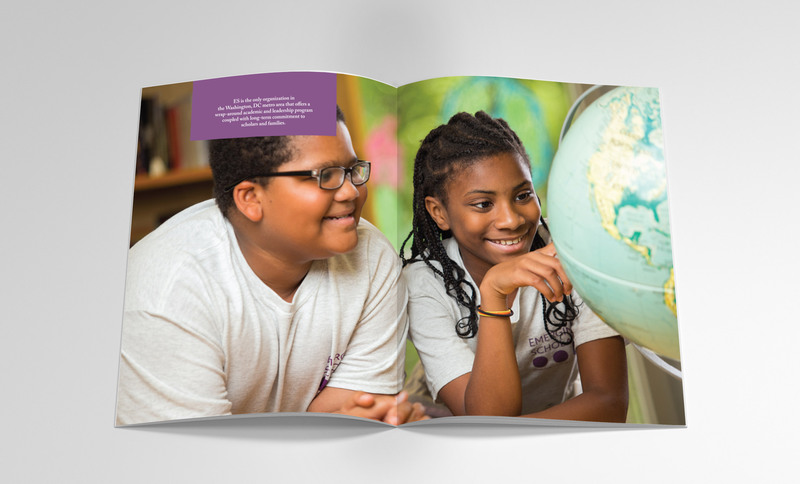 Inside, full page photos and graphics highlight the ES commitment to diversity, family support and educational success. 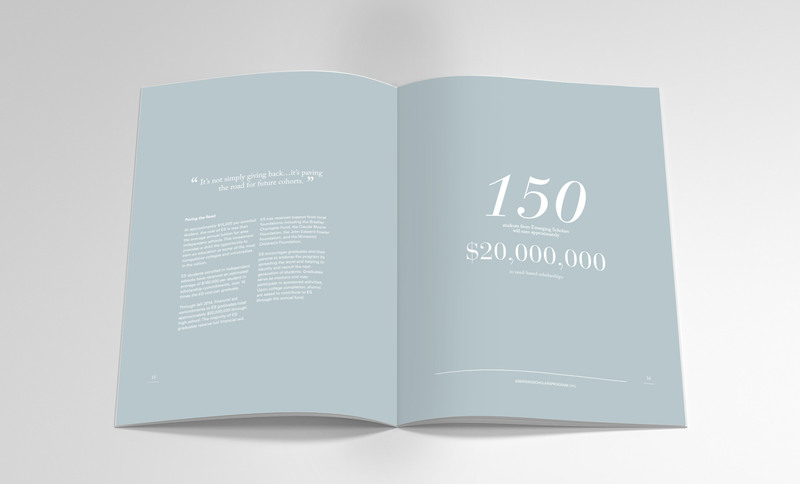 There is no cost to the families of children who attend and 100% of the graduates who attend independent schools go on to college.